A former U.S. Navy supervisory contracting officer was sentenced to 72 months in prison on Friday (Dec. 2, 2016) for accepting bribes in exchange for steering contracts to the president and chief executive officer of a defense contractor. Paul Simpkins, 62, of Haymarket, Virginia, was sentenced for his role in steering contracts to Leonard Francis, the president and CEO of Glenn Defense Marine Asia (GDMA). Simpkins was also ordered to pay $450,000 in restitution, to forfeit $150,000 and pay a $50,000 fine. Simpkins pleaded guilty on June 23 to conspiracy to commit bribery and bribery. According to admissions made as part of his plea agreement, Simpkins held a number of managerial-level contracting positions throughout the federal government, including positions as a supervisory contract specialist at the U.S. Navy Regional Contracting Center in Singapore from April 2005 through June 2007; a contracting officer assistant director with the Executive Office of U.S. Attorneys in Washington from June 2007 to December 2007; and as a supervisory manager in the Department of Defense’s (DoD) Office of Small Business Programs beginning in December 2007. Simpkins admitted that from approximately May 2006 to September 2012, he participated in a bribery scheme with Francis in which he accepted travel and entertainment expenses, the services of prostitutes and at least $300,000 in exchange for helping to steer lucrative U.S. Navy contract to Francis and GDMA. Simpkins provided Francis with internal, proprietary U.S. Navy information and intervened on GDMA’s behalf in contract disputes, he admitted. Simpkins used his influence within the U.S. Navy to benefit GDMA, including by helping GDMA to secure valuable ship husbanding contracts to service U.S. Navy vessels in Thailand and the Philippines, he admitted. In addition, Simpkins interceded on GDMA’s behalf in contract disputes with the U.S. Navy. In one incident in 2006, for example, Simpkins’s subordinate recommended that GDMA’s husbanding contract in Thailand not be extended due to “many exceedingly high cost” items and concluded that the contract should be re-opened to competitive bidding, which would have allowed other firms to bid on the contract. Simpkins overruled the subordinate and extended GDMA’s contract, he admitted. In another example, Simpkins instructed U.S. Navy officials in Hong Kong to discontinue the use of meters that monitored the volume of liquid waste that GDMA removed from U.S. Navy ships under its husbanding contracts. In June 2006, Simpkins instructed a U.S. Navy official not to review invoices that GDMA submitted in connection to a recent port call in Hong Kong after Francis complained that U.S. Navy personnel were asking questions, Simpkins admitted. To date, a total of 16 individuals have been charged in connection with the GDMA corruption and fraud investigation. Francis has pleaded guilty and awaits sentencing. As part of his plea agreement, Francis admitted to over-billing the U.S. Navy for over $35 million on ship husbanding contracts by, among other means, reporting that GMDA had removed more liquid waste from ships than it actually did. Four other GDMA executives have also been charged: Alex Wisidagama, Ed Aruffo, Neil Peterson and Linda Raja. Wisidagama has pleaded guilty and was sentenced on March 18 to 63 months in prison and $34.8 million in restitution to the Navy. Aruffo has pleaded guilty and awaits sentencing. Peterson’s and Raja’s cases are pending. Paul Simpkins, a former DoD civilian employee who oversaw contracting in Singapore. Gilbeau, Debord, Dusek, Misiewicz, Malaki, Beliveau, Sanchez and Layug have also pleaded guilty in connection with the scheme. On Jan. 21, Layug was sentenced to 27 months in prison and a $15,000 fine; on Jan. 29, Malaki was sentenced to 40 months in prison and to pay $15,000 in restitution to the Navy and a $15,000 fine; on March 25, Dusek was sentenced to 46 months in prison and to pay $30,000 in restitution to the Navy and a $70,000 fine; on April 29, Misiewicz was sentenced to 78 months in prison and to pay a fine of $100,000 and to pay $95,000 in restitution to the Navy; and on Oct. 14, 2015, Beliveau was sentenced to serve 144 months in prison and ordered to pay $20 million in restitution to the Navy. Gilbeau and Sanchez await sentencing. Pitts was charged in May 2016 and his case remains pending. A retired Navy Captain pleaded guilty last week for his role in a massive bribery and fraud scheme involving a foreign defense contractor for the U.S. Navy. This case is the latest in a massive contract fraud and corruption scandal linked to Leonard Glenn Francis, the former CEO of Glenn Defense Marine Asia (GDMA), a defense contracting firm based in Singapore. Michael Brooks, 57, of Virginia, pleaded guilty to one count of conspiracy to commit bribery. In May 2016, Brooks was charged in connection with his interactions with Francis. Brooks is scheduled to be sentenced on Feb. 17, 2017. According to admissions made in connection with the plea agreement, from June 2006 to July 2008, Brooks served as the U.S. Naval Attaché at the U.S. Embassy in Manila, Philippines. In exchange for travel and entertainment expenses, hotel rooms and the services of prostitutes, Brooks used his office to benefit GDMA and Francis, including by securing quarterly diplomatic clearances for GDMA vessels, which allowed GDMA vessels to transit into and out of the Philippines under the diplomatic clearance of the U.S. Embassy. Brooks also allowed Francis to ghostwrite official U.S. Navy documents and correspondence, which Brooks submitted as his own. In addition, Brooks provided Francis with sensitive, internal U.S. Navy information, including billing information belonging to a GDMA competitor and U.S. Navy ship schedules. Gilbeau, Debord, Dusek, Misiewicz, Malaki, Beliveau, Sanchez, Layug and Simpkins have also pleaded guilty. On Jan. 21, 2016, Layug was sentenced to 27 months in prison and a $15,000 fine; on Jan. 29, 2016, Malaki was sentenced to 40 months in prison and to pay $15,000 in restitution to the Navy and a $15,000 fine; on March 25, 2016, Dusek was sentenced to 46 months in prison and to pay $30,000 in restitution to the Navy and a $70,000 fine; on April 29, 2016, Misiewicz was sentenced to 78 months in prison and to pay a fine of $100,000 and to pay $95,000 in restitution to the Navy; and on Oct. 14, 2015, Beliveau was sentenced to serve 144 months in prison and ordered to pay $20 million in restitution to the Navy. Gilbeau, Sanchez and Simpkins await sentencing. Pitts was charged in May 2016 and his case remains pending. Also charged are five GDMA executives: Francis, Alex Wisidagama, Ed Aruffo, Neil Peterson and Linda Raja. Wisidagama has pleaded guilty and was sentenced on March 18, 2016, to 63 months in prison and $34.8 million in restitution to the Navy. Francis and Aruffo have pleaded guilty and await sentencing; Peterson’s and Raja’s cases are pending. The NCIS, DCIS and DCAA are conducting the ongoing investigation. The massive contract fraud and corruption scandal linked to Leonard Glenn Francis, the former CEO of Glenn Defense Marine Asia (GDMA), a defense contracting firm based in Singapore, just landed a Naval Criminal Investigative Service (NCIS) supervisory special agent in prison for for 144 months. According to admissions made as part of his plea agreement, Beliveau helped former GDMA CEO “Fat Leonard” Francis perpetrate a massive fraud scheme on the U.S. Navy by providing information that allowed Francis to avoid, stall and thwart criminal investigations into misconduct by GDMA. As part of the sentence handed down by U.S. District Judge Janis L. Sammartino, Beliveau was also ordered to pay $20 million in restitution to the Navy. Beliveau admitted that he attempted to cover up his involvement by asking Francis to delete incriminating emails and deactivate an email account, and warned Francis about indictments and a warrant on his email account. Beliveau also admitted that he counseled Francis on how to perpetuate his fraud scheme and evade detection. In July 2011, Beliveau advised Francis to respond to the pending NCIS investigation into GDMA’s submission of a fraudulent claim to the U.S. Navy for dockage and wharfage fees for certain U.S. Navy ship visits to Thailand. In return for providing him with information, Francis provided Beliveau with envelopes containing cash, luxury travel from Virginia to Singapore, the Philippines and Thailand. On many occasions, beginning in 2008 and continuing through 2012, while Beliveau was posted in Singapore, Francis provided him with prostitutes, lavish dinners, entertainment and alcohol at high-end nightclubs. The tab for each of these outings routinely ran into the thousands of dollars. Gilbeau, Debord, Dusek, Misiewicz, Malaki, Beliveau, Sanchez, Layug and Simpkins have pleaded guilty. On Jan. 21, 2016, Layug was sentenced to 27 months in prison and a $15,000 fine. On Jan. 29, 2016, Malaki was sentenced to 40 months in prison and to pay $15,000 in restitution to the Navy and a $15,000 fine. On March 25, 2016, Dusek was sentenced to 46 months in prison and to pay $30,000 in restitution to the Navy and a $70,000 fine. On April 29, 2016, Misiewicz was sentenced to 78 months in prison and to pay a fine of $100,000 and to pay $95,000 in restitution to the Navy. Gilbeau, Sanchez and Simpkins also await sentencing. Brooks and Pitts were charged in May 2016 and their cases are pending. Also charged are five GDMA executives: Francis, Alex Wisidagama, Ed Aruffo, Neil Peterson and Linda Raja. Wisidagama has pleaded guilty and was sentenced on March 18, 2016, to 63 months in prison and $34.8 million in restitution to the Navy. Francis and Aruffo have pleaded guilty and await sentencing. 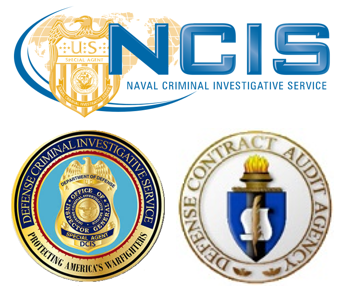 The Defense Criminal Investigative Service (DCIS), the Defense Contract Audit Agency (DCAA) and the NCIS are continuing their investigation. A U.S. Navy lieutenant commander is the latest military official to plead guilty to a bribery charge in federal court and admitted to accepting cash, luxury hotels and prostitutes from a foreign defense contractor in exchange for proprietary Navy information. Gentry Debord, who is based in Singapore, pleaded guilty on Oct. 13, 2016. He is scheduled to be sentenced on Jan. 13, 2017. In pleading guilty, Debord, who served in several logistical and supply positions in the Western Pacific, admitted that he instructed Glenn Defense Marina Asia (GDMA) executives to inflate their invoices to the Navy to cover the cost of various illicit gifts provided to him. From November 2007 to January 2013, Debord provided former GDMA CEO Leonard Glenn Francis and others with internal and proprietary U.S. Navy information. This information provided by Debord included inside information about competitors’ bids on Navy contracts and information about an investigation into GDMA’s billing practices. Debord also admitted to misusing his position and influence in the Navy to advocate for and advance GDMA’s interests, including by approving inflated invoices for services never rendered that he directed Francis to submit. According to admissions made in connection with his plea, as part of this conspiracy, Debord, Francis and others attempted to conceal the bribes given to Debord as well as the nature and extent of his relationship with Francis. This was done by, for example, using coded language in communications referring to prostitutes as “cheesecake” or “bodyguards.” Debord also requested that GDMA executives provide him with an apartment for a port visit. In addition, Debord admitted to asking a GDMA executive to provide him with three hotel rooms, two cell phones, a van and 2,000 Singapore dollars. Debord instructed the executive to recover the value of these items by inflating the amount that GDMA would invoice the U.S. Navy for potable water and trash removal service for the U.S.S. Essex port visit to Singapore, which GDMA proceeded to do. So far, a total of 16 individuals have been charged in connection with the GDMA corruption and fraud investigation. Of those, 11 are current or former U.S. Navy officials, including Debord, Admiral Robert Gilbeau, Captain (ret.) Michael Brooks, Commander Bobby Pitts, Captain Daniel Dusek, Commander Michael Misiewicz, Lt. Commander Todd Malaki, Commander Jose Luis Sanchez, Petty Officer First Class Daniel Layug, Naval Criminal Investigative Service Supervisory Special Agent John Beliveau and Paul Simpkins, a former DoD civilian employee who oversaw contracting in Singapore. Gilbeau, Dusek, Misiewicz, Malaki, Beliveau, Sanchez, Layug and Simpkins have pleaded guilty. Beliveau, a a onetime NCIS agent of the year, was scheduled to be sentenced at the end of last week. Peterson’s and Raja’s cases are pending. An indictment is merely an allegation and all defendants are presumed innocent unless and until they are found guilty beyond a reasonable doubt in a court of law. The Defense Criminal Investigative Service (DCIS), the Naval Criminal Investigative Service (NCIS0, and the Defense Contract Audit Agency (DCAA) are investigating this ongoing case. Anyone with information relating to fraud or corruption should contact the NCIS anonymous tip line at www.ncis.navy.mil or the DoD Hotline at www.dodig.mil/hotline, or call (800) 424-9098. Two former executives of a foreign defense contractor have been charged with participating in a conspiracy to submit fraudulent information, price quotes, claims and invoices to the U.S. Navy in an effort to steal millions of dollars as part of a years-long corruption and fraud scheme. Neil Peterson, 38, and Linda Raja, 43, both of Singapore, were each charged with one count of conspiracy to defraud the United States with respect to claims; one count of conspiracy to commit wire fraud; and multiple counts of making false claims. Both defendants have been arrested by authorities in Singapore at the request of the U.S. government. According to the indictment, Peterson and Raja worked for Singapore-based GDMA and conspired with Leonard Glenn Francis in order to defraud the U.S. Navy for GDMA’s financial benefit. The indictment alleges that Peterson served as the Vice President for Global Operations for GDMA and Raja served as GDMA’s General Manager for Singapore, Australia and the Pacific Isles. The indictment alleges that Peterson and Raja submitted more than $5 million in false claims and invoices to the U.S. Navy. In addition, Peterson and Raja allegedly worked to perpetuate and cover up their fraud by consistently misrepresenting to the U.S. Navy the cost of providing services to its ships in Asia, even going so far as to submit false price quotes from non-existent companies on letterhead created from graphics cut and pasted from the internet. Including Peterson and Raja, a total of 16 individuals have been charged to date in connection with the GDMA corruption and fraud investigation. Of those, 11 are current or former U.S. Navy officials, including Admiral Robert Gilbeau; Captain (ret.) Michael Brooks; Commander Bobby Pitts; Lt. Commander Gentry Debord; Captain Daniel Dusek; Commander Michael Misiewicz; Lt. Commander Todd Malaki; Commander Jose Luis Sanchez; Petty Officer First Class Daniel Layug; NCIS Supervisory Special Agent John Beliveau; and Paul Simpkins, a former DoD civilian employee who oversaw contracting in Singapore. Gilbeau, Dusek, Misiewicz, Malaki, Beliveau, Sanchez, Layug and Simpkins have pleaded guilty. On Jan. 21, 2016, Layug was sentenced to 27 months in prison and a $15,000 fine; on Jan. 29, 2016, Malaki was sentenced to 40 months in prison and ordered to pay $15,000 in restitution to the Navy and a $15,000 fine; on March 25, 2016, Dusek was sentenced to 46 months in prison and ordered to pay $30,000 in restitution to the Navy and a $70,000 fine; and on April 29, 2016, Misiewicz was sentenced to 78 months in prison and ordered to pay $95,000 in restitution to the Navy and a $100,000 fine. Gilbeau, Beliveau, Sanchez and Simpkins await sentencing. Brooks, Pitts and Debord were charged in May 2016 and their cases are pending. Also charged are three additional GDMA executives: Francis, Alex Wisidagama and Ed Aruffo, and all three have pleaded guilty. Wisidagama was sentenced on March 18, 2016, to 63 months in prison and was ordered to pay $34.8 million in restitution to the Navy. Francis and Aruffo await sentencing. DCIS, NCIS and the Defense Contract Audit Agency are investigating. 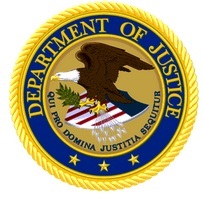 The Justice Department’s Fraud Section of the Criminal Division and U.S. Attorneys from the Southern District of California are prosecuting the case. The Justice Department’s Office of International Affairs provided assistance.